The GearWrench Dipped Grip End Nipper Pliers feature laser-hardened cutting edge for longer life, the throat is designed to give maximum clearance, clear anti-rust coating, unique forged alloy tool steel for strength and durability, and meets or exceeds applicable ASME requirements. The 82076 GearWrench Dipped Grip End Nipper Pliers is one of thousands of quality tooling products available from MRO Tools. Please browse GearWrench Dipped Grip Pliers for tools similar to the 82076 GearWrench Dipped Grip End Nipper Pliers. 82076 GearWrench Dipped Grip End Nipper Pliers description summary: GearWrench dipped grip end nipper pliers. 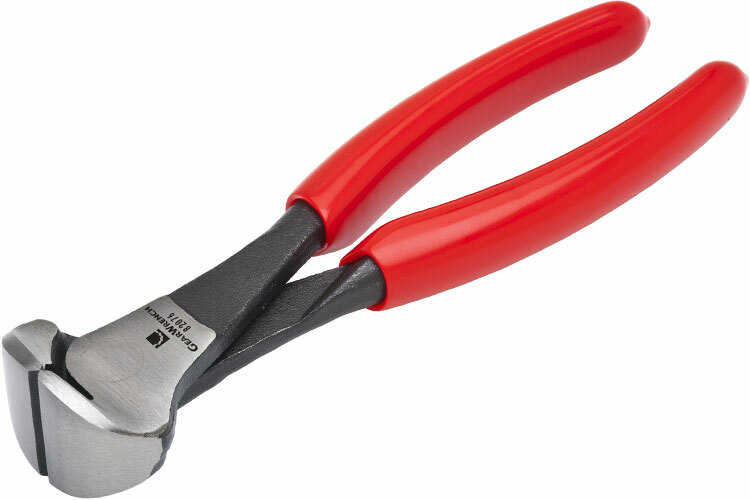 Length: 7-1/4'' Wire Size: Std./12 AWG Jaw Length: 3/8'' Jaw Width: 1-3/4'' Jaw Thickness: 17/32'' Cutting Edge Length: 13/16'' Quantity discounts may be available for the 82076 GearWrench Dipped Grip End Nipper Pliers. Please contact MRO Tools for details.